How Do Disc Brakes Enhance Road Bikes? Disc brakes are no longer just for mountain bikers. During the past few years, they’ve been steadily spreading onto bikes designed for other disciplines such as road, gravel and cyclo-cross. 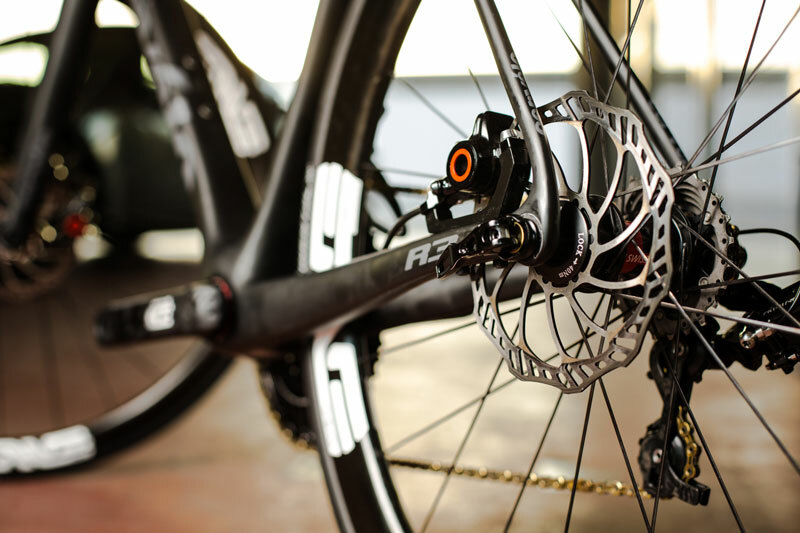 There are plenty of reasons why, and in this article we explain how disc brakes can improve your road riding experience. Two technologies are most commonly behind disc brakes: hydraulic or mechanical. In both methods, force is transferred from the brake levers to the caliper where brake pads move together pressing against the disc. Cables activate mechanical disc brakes, whereas in hydraulic brakes, sealed lines with hydraulic fluid replace the cables. Disc brakes stop more powerfully than rim brakes. You’ll need to apply relatively less force to your brake levers to bring yourself to a stop from a given speed. Thus, your hands and arms won’t get as tired during extended periods of frequent braking such as on long, twisty descents in the mountains. It also means that disc brakes will work better for heavier riders and tandem riders, all of whom sometimes struggle to get enough stopping power out of conventional rim brakes. You can more easily control the application of all of your stopping power with disc brakes because that application is generally more linear than with rim brakes. Yes, you can still lock up your disc brakes if you squeeze them too hard and/or too fast, but the action of doing so is more predictable, so you’ll have more control over whether you actually lock them up. The better stopping power mentioned above is often most noticeable when riding in wet conditions. Yes, it’s true that all brakes don’t work as well when it’s raining, but wet disc brakes will work better than wet rim brakes. They’ll grab more quickly and more predictably and will hold better. Rim braking works because it produces friction between the pads and the rim. That also heats up rims, which can cause a tube to burst or a sidewall to blow off the bead hook, especially for carbon fiber rims. With disc brakes, these are no longer concerns because disc brake pads contact a disc rotor instead of the rim. Disc brakes operate well, regardless of how true your wheels are. That’s because the pads don’t have to squeeze a wobbly rim, but they instead squeeze a rotor. And while rotors do sometimes go out of true, it’s relatively uncommon, and they can be fairly easily bent back into shape. Running wider tires on your existing rims is easier with disc brakes because they don’t have to clear rim brake calipers when wheels are installed or removed. You can also switch to wider rims to go with those wider tires without having to readjust your brakes. Disc brakes require relatively little routine maintenance once set up. Most kinds automatically self-adjust as the pads wear so that they will continue to work well until the pads are mostly consumed. Yes, you will still have to replace worn out pads, but swapping disc brake pads is simple, typically requiring the removal of one bolt for each pair of pads. Occasionally, disc brakes will require bleeding, a process of removing extraneous air bubbles from the hydraulic brake fluid. When your braking starts to feel spongy, you’ll know it’s time for a bleed. Most manufacturers recommend bleeding once or twice per year, depending on how much you ride. Many road pros initially resisted the adoption of disc brakes into the peloton. They were concerned about possible injuries that could be caused by a disc slicing into a rider’s body during a crash. While their concerns were not unfounded, incidents of disc brake-related crash injuries have turned out to be far less prevalent than many predicted, and brake designers have been working to make the brakes safer with each iteration. For example, many rotors now have rounded edges instead of sharp edges to reduce their ability to cut. Better designs also dissipate heat more efficiently so that you are less likely to accidently touch them and get burnt. rotorbike.com | How Do Disc Brakes Enhance Road Bikes?